Visitors are always welcome at MYC and we welcome new members of all ages. MYC offers a range of membership categories including Junior, Full, Family and Associate (Social). 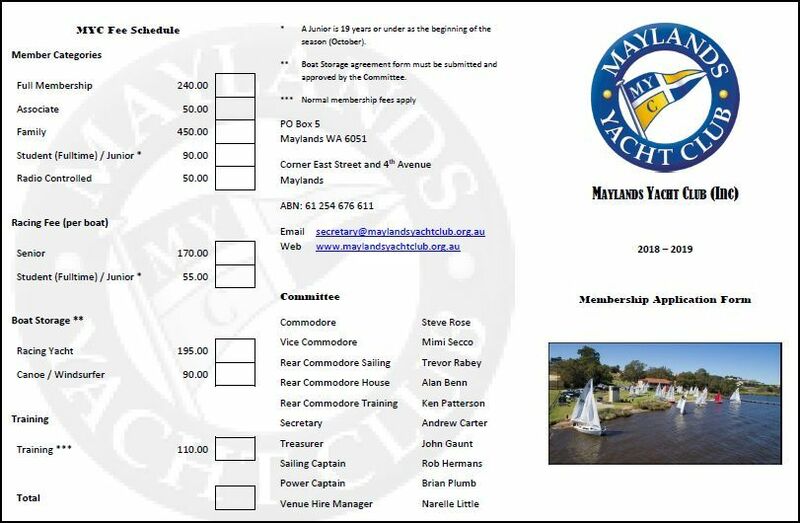 Should you have any queries relating to membership, contact the Secretary by email or on 0434 458 723. Newcomers to MYC are welcome to participate in the training program or compete in racing but are expected to complete a Membership Form and pay Membership subscriptions within three weeks of their beginning. MYC Policy and Agreement on Boat Storage can be downloaded here.